28 May, 2017 To facilitate DiEM25’s goal to democratise Europe, we must create a compelling counter-narrative to the Surveillance Capitalism of Silicon Valley and set Europe on a path to fund and create an Internet of People. Yours truly introducing the Internet of People. The panel, from left: Saskia Sassen, Renata Avila, Thomas Seibert, Srećko Horvat, and Ivana Nenadovic. Duration: 9 mins. Recorded: 25th May, 2017. Lead by Renata Avila and me, DiEM25 has begun a new core initiative to craft a progressive policy pillar to democratise technology, starting in Europe. With apologies to Audre Lorde, Silicon Valley’s tools will never dismantle neoliberalism’s house: To facilitate DiEM25’s goal to democratise Europe, we must create a compelling counter-narrative to the Surveillance Capitalism of Silicon Valley and set Europe on a path to fund and create an Internet of People. Imagine an Internet where every individual owns and controls their own space. It is to this place that all their smart things connect to instead of to the surveillance-based services of faceless corporations somewhere in “the cloud”. Imagine a connected world where we connect directly to each other, not via Google or Facebook. We took the first steps towards imagining and realising this future in Berlin on May 25th. 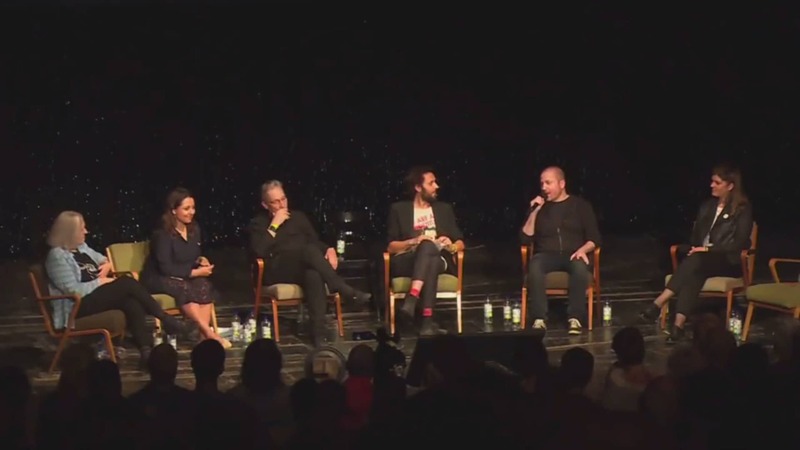 The video, above, is a short recording of the off-the-cuff summary I gave during our evening event at the Volksbühne Theatre to explain why the creation of a progressive technology policy is now the central pillar of Europe’s first transnational political party and why it is essential to the future of democracy in Europe and in the world.